The past few weeks I've been tossing around a few goals in my head that I want to work on this year. I'm not a big fan of New Year's Resolutions, having observed way too many failed attempts. No, I'm thinking something different here. What I've been mulling over is the keeping of a journal of sorts, specifically for these goals, incorporated into this blog - which is already half way there but not organised in the way I would like!. The things I want to improve on this year focus mainly on self reliance and increasing it. Biking over driving, having a larger stockpile of home preserved goods, extending our use of homemade green cleaners and body products..hopefully to include more herbal creations from the garden and the baking of more nutritious tween snacks instead of the sugar laden variety that we so love, just to name a few. The main goals I have in mind fall under nine categories. I know, I couldn't make it to ten! Nine is enough though and because there are several I am thinking of collating these goals together monthly. Time, blogging time especially, is a precious gift to me and I don't think I would have the available window to keep this 'diary' updated weekly. Plus, this way, I can have the list in the back of my mind during the month and work on it when time permits. Projects DO take time, as I'm sure you know! Other goals in addition to those listed above are included in the list mainly to keep track of them and keep me motivated. I'm also thinking that....Together we could inspire each other. Below is what I've come up with. I will be posting 'diary entries' at the end of each month. If you feel you would like to take part with your own goals listed under the categories, please do! By sharing what we are up to and how we are making positive life changes, we can inspire each other further. Tips and hints never go astray. If you're a new reader and are feeling shy, don't! Bloggers don't bite (actually, that is one of the huge advantages with this medium - their teeth can't come anywhere near you!). Just kidding. If you are a new reader or blogger, you are officially invited to join in. Regular readers too, of course! This goes without saying. So, by now I take it your're positively beside yourself with wanting to know what is on The List? NOURISH: Make and bake as much as possible from scratch. Ditch overpackaged, overprocessed convenience foods and opt for 'real' food instead. Share favourite links/recipes/tips from the month here. PREPARE: Stockpile and preserve. Freeze extra meals or excess garden/market produce. 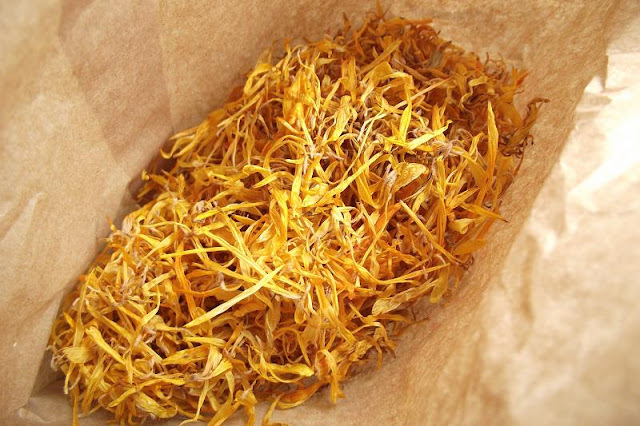 Bottle/can, dehydrate or pickle foods to enjoy when they are not in season. Aim to reduce dependancy on store bought items especially those known to contain BPA and other suspect additives. Stocking up on dry goods when prices are low counts too. REDUCE: Cut down on household waste by re-using, re-purposing and repairing. A ladder into a strawberry planter? A sheet into a dress? Share ideas and project links here, allowing others to be inspired. GREEN: up our lives. Start (or continue!) 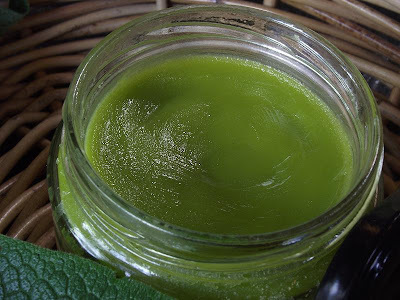 using homemade cleaners, body products and basic herbal remedies. The options are endless, the savings huge and the health benefits enormous. GROW: plant/harvest. What's growing this month? What's being eaten from the garden? Herbs in a pot, sprouts on a windowsill or and entire fruit/vegetable garden -opt for what fits space and time constraints. Don't have a backyard? Ask a friendly neighbour or relative for a small patch of theirs in return for some home grown produce, they may surprise you! CREATE: to fill a need or feed the soul. Create for ourselves or for others. Create something as simple as a handmade gift tag or something as extravagant as a fine knit shawl. Share project details and any new skills learnt here. DISCOVER: Feed the mind by reading texts relevant to current interests. Trawl libraries, second hand shops or local book shops to find titles that fill the need. Share titles/authors of what is being read this month. ENHANCE: community: Possibilities include supporting local growers & producers, help out at a local school/kindergarten, barter or foodswap, joining a playgroup or forming a walking or craft group. Car pooling where possible and biking/walking instead of driving. Even start up a blog if you haven't already - online communities count too! Or maybe just help out someone trying to cross the street! The rewards for your time are often returned tenfold. ENJOY: Life! Embrace moments with friends and family. Marking the seasons, celebrations and new arrivals are all cause for enjoyment. Share a moment to be remembered from the month here. It may look like a lot, although I imagine many of you are already doing things on this list already. Other things may need to be worked at a little more. By collating our goals and achievements together in one monthly post we can keep track of them and gain an idea of what we want to focus more on next month. I do hope you'll join in with me! I'm really excited about it! I'll update shortly with my diary entry for Month One, which already seems to have flown to the wind! What day of the week will you be looking at your slow living goals for the month? I'm going to work on getting something together...and have it ready for next week. I'd love to participate for sure!!!! What a great list. You have put so much thought into these goals and I am frankly a bit inspired :) Look forward to reading about each achievement/discovery! Christine you are a legend! I think I might just join you in this. I find I have so much I want to get done this year and I am trying to keep it all straight in my head. Writing a monthly diary entry on my blog would help free up the headspace and keep me accountable and motivated. I would love to support others as well. Okay I am in. Off to write my first diary entry now. You're too cool, Deb! Thanks for joining in!! I think this is a fantastic idea Christine. I'm in! Might need a couple of days to get my first entry together. This suits me fine as I actually set my goals for the year starting in Feb after I have gotten well and truely over the holiday buzz and have put some thought into what I want to achieve. I will be back to join with my post tomorrow as many of these were on my list and the ones that weren't can be added without too much effort. That's fine, Clare, it will be here when you are ready. You can update any time during the month, no hard rules! I've done my January update! 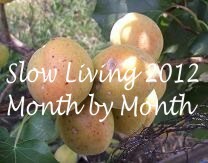 http://savingplaneta.blogspot.com.au/2012/02/slow-living-2012-january-update.html Just off to check out what other people have been up to during January and look forward to being inspired. Hi, I have found this wonderful post via Tricia at Little Eco Foot prints...I will be joing in thanks, will blog within the week. thanks again for the idea. I would love to join. I dabble in many of the goals you listed and it would be great to share and learn from others. Thanks for the invite! Okay. I'll have a whack at this, too. Like many others, a lot of what is on your list I am doing or trying to do already, so count me in. It will hopefully make me accountable to myself, albeit on a public scale! I've come to you via Deb from A Clothesline Out the Back (who also happens to be a dear friend). My first post for February might have to come a little bit later in the week or next week, though, I'm afraid. I really need to sit down and think out what I want to achieve. You're welcome, Barefoot Bride - it's great to have you along! Bit late to the party, but I'm in too! such a fabulous idea! Hey Christine, although this looks like some of it will be a challenge, this is exactly what I need to give my slowing down attempts some structure and mindfulness! Hey thanks so much for this and I do think it's good to be inspired by others...we already do much slow living/cooking/growing but I'm certain there are things we haven't thought of! I'll be back for a link up beginning next week when I'll have a nice slow look around the homestead to discern what fits. Hi, lovely idea. I'm in!